Per capita residential energy consumption in the United States remained generally flat since the 1973 Arab oil embargo. Several factors contribute to this trend. Geographic shifts in the U.S. population towards warmer and drier climates partially countered a long-term shift towards larger homes, which require more energy to heat, cool, and light. Moreover, Federal and State legislation mandate minimum energy efficiency standards for several types of household appliances, offsetting greater energy use from an increasing number of electronic devices and appliances in households. Other factors, such as the choice of heating fuel or the mix of housing types among single-family, multifamily, and mobile homes, also play a role in per-capita energy consumption. 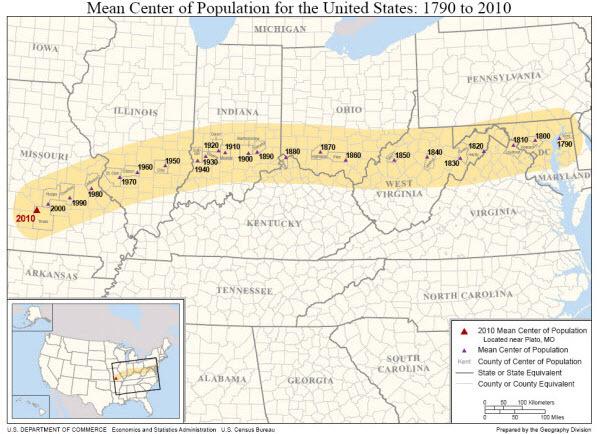 Source: U.S. Census Bureau, Mean Center of Population for the United States: 1790 to 2010. Technological advances have led to an increasing number of electronic devices such as personal computers and televisions and household appliances including central air conditioners and microwaves. However, Federal and State legislation (starting with the National Appliance Energy Conservation Act of 1987) mandate minimum energy efficiency standards for several types of household appliances such as furnaces, air conditioners, heat pumps, water heaters, refrigerators, and freezers. While there is no Federal building energy code, several State and local governments have established standards for the efficiency of new residential buildings. The Annual Energy Review provides other data about energy consumption and production in other sectors from 1949-2010.